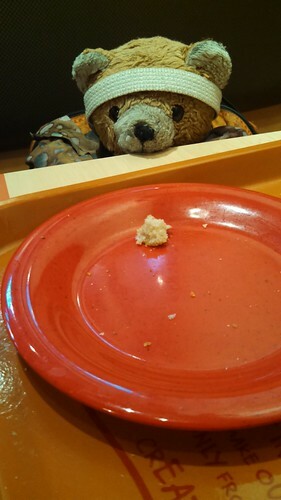 Girls and Boys is travellings and tooks Bears to Sweet Tomatoes to eats. Bears did nots have tomatoes. Bears hads the blueberry muffins. This was a goods places for bears, evens though theres no fishes heres.